We offer... Elocution Lessons; Public Speaking coaching; Drama Interaction Sessions; Confidence Support; Performance Workshops; Puppetry and Visual Art; After-school Clubs; Holiday Schools; Presentation Technique; Immersive Theatre; Creative Expression; Physical Theatre; Drama qualifications for adults; Autism Movement Therapy. 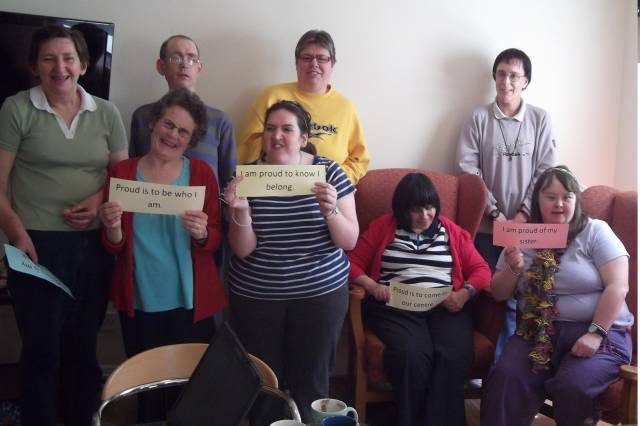 In Spring 2011, the Drama Support Service ran a 12-week programme at a day centre for adults with learning disabilities, to help its service users gain confidence. The centre supports adults of all ages, from those with minor learning difficulties, to those with severe autism. The drama sessions involved team-building, concentration and devising exercises, drama games, instruments, puppets and body percussion. In the first session, only 3 out of the 10 members of the group were confident enough to speak or join in with the activities. By the end of the programme, every one of the participants took part in a public drama performance entitled 'Friendship is Fab!' which included poetry, public-speaking, rhythm work and a memorable soundscape of a storm. The group became known as The Berkeley Players and went on to put on 5 other performances, and also made a promotional film about the centre they belong to.. The Drama Support Service welcomes invitations for projects with charities, youth clubs/after-school clubs, adult education centres, community programmes, saturday schools and other extra-curricular social groups. If you think your group would benefit from interactive drama sessions, please contact us for more details!